Lovely Christmas card Sylvie...great papers and and lovely image. 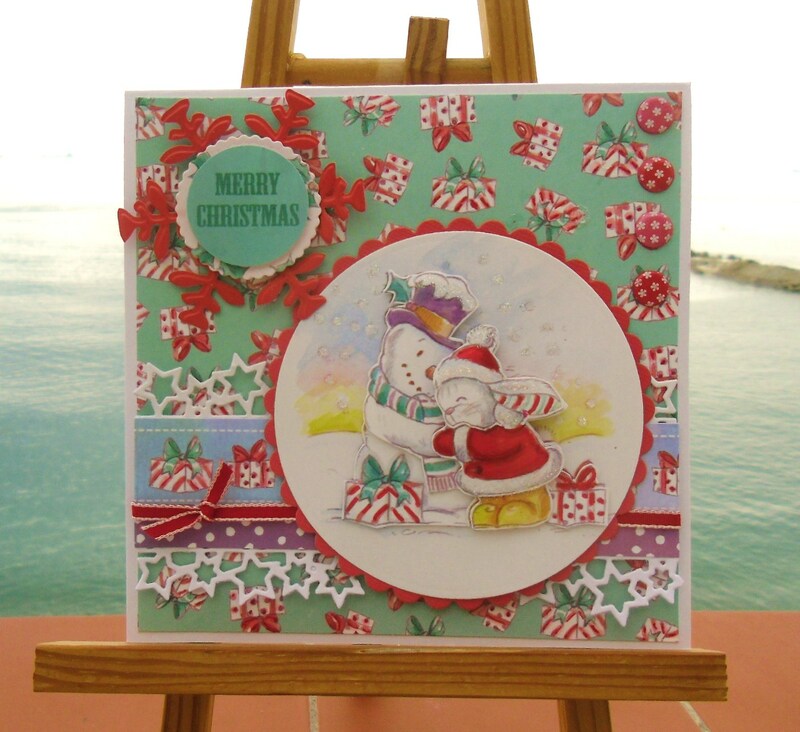 Hi there Sylvie - this really is a very happy looking card! Such a cheeky image as well. The festival sounds brilliant, I love a bit of Soul music and am very envious!! 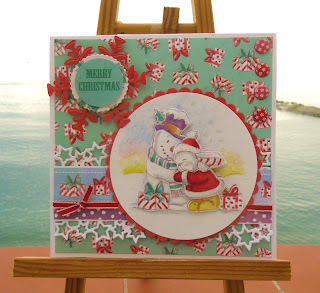 Lovely Christmas card Sylvie - love the colours and the image is so cute. Gorgeous card Sylvie. I love the image and fabulous papers. Oh what a fun fun fun card, Sylvie. Adorable image and the colours are so yummy. Wonderful card! I think that is the only craft magazine I have not yet managed to track doen yet. I have all the August ones. your card is so adorable with this sweet image and great papers that you chose! Gorgeous card Sylvie, love the cute image. Your card design is so lovely! Hi Sylvie, this is fab, love the image and great papers, love freebies and these are super.